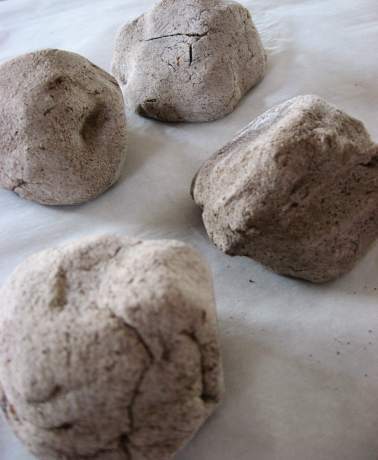 In this funny and easy project, a smooth river rock is turned into a small, kissable Blarney Stone. In southwestern Ireland, there is a very famous stone, called the Blarney Stone, located high up in Blarney Castle. 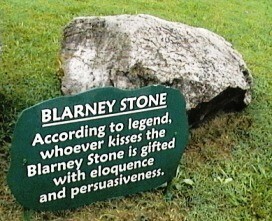 If you kiss the Blarney Stone, it is supposed to give you the gift of eloquence. glitter, plastic jewels, googly eyes etc. Paint the clean and dry rock green. After the paint is dry, decorate your rock using glitter, beads, plastic jewels, googly eyes or other interesting items. When the paint and glue are dry, add details using markers (like eyebrows, etc.). Well done ! 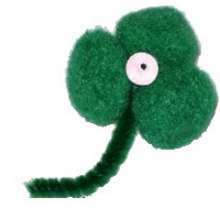 Now you have your own small Blarney Stone to help you celebrate St. Patrick's Day. 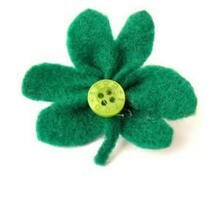 Happy St. Patrick's Day ! !